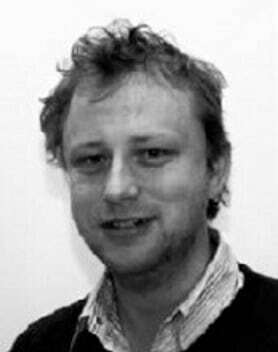 Gerard is a Research Fellow in the MMRRC at the University of Limerick. His research interests include optical fibre sensors, differential optical absorption spectroscopy, advanced control systems, underwater robotic engineering and advanced sonar operations and processing. Ger has worked extensively in the optical fibre sensors and marine robotics research centres at UL since the completion of his PhD in 2008. He is focused on the design and development of underwater robotics and has engaged in numerous offshore maritime operations and survey missions both here in Ireland and on the continent. Some of his recent research topics include environmental monitoring, subsea event triggered sensing platforms, miniature daughter-ROV’s, anti-mine countermeasure ops and remote vehicles for incident response. He also has a keen interest in underwater shipwreck discovery, survey and identification and has participated in many deep water diving expeditions worldwide. Ger received his Phd in Optical Fibre Sensors Research Centre at the University of Limerick in 2008. He also finished his BEng Degree at the UL, his final year project relating to an optical fibre based underwater obstacle avoidance sensor. Ger was also a reviewer for MDPI Sensors Journal, Elsevier Sensors & Actuators: B. Chemical, Majlesi Journal of Electrical Engineering, Springer Applied Physics B: Lasers and Optics and IEEE Transactions on Instrumentation & Measurement. Further information can be found on Gerard’s UL Research Profile.